In my quest to experience new adventures, Avatar One’s definitely a must. 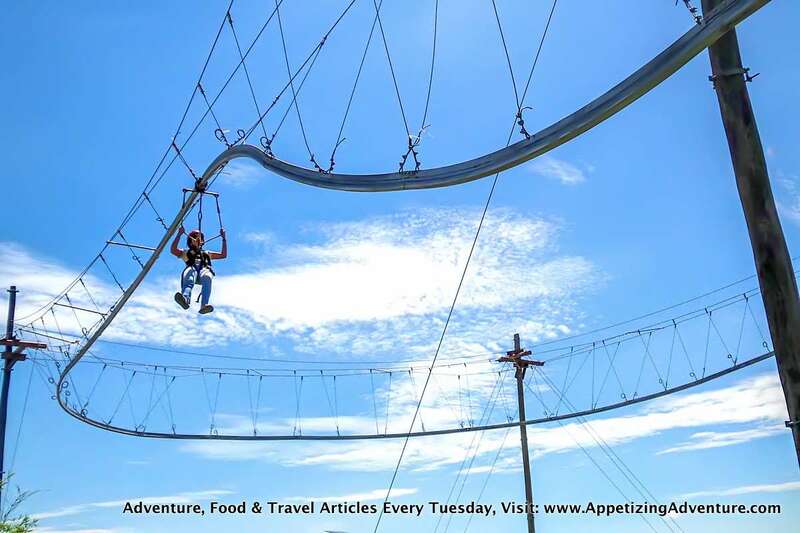 When I first heard about a roller coaster zipline, I found it hard to visualize. Was there going to be loops? Will I throw up? Then, I saw the Avatar One structure at Sandbox when it officially opened to the public last April 12, 2014. There weren’t any loops. Thank God! 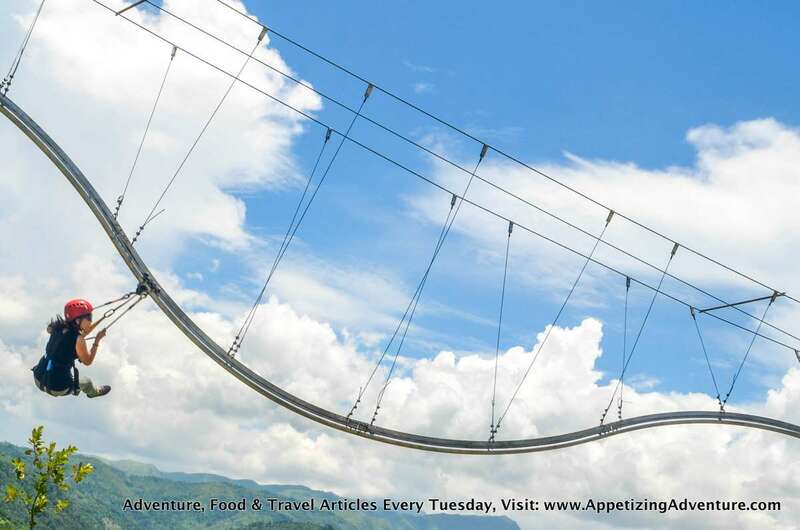 It’s 180 meters long and 12 meters high. 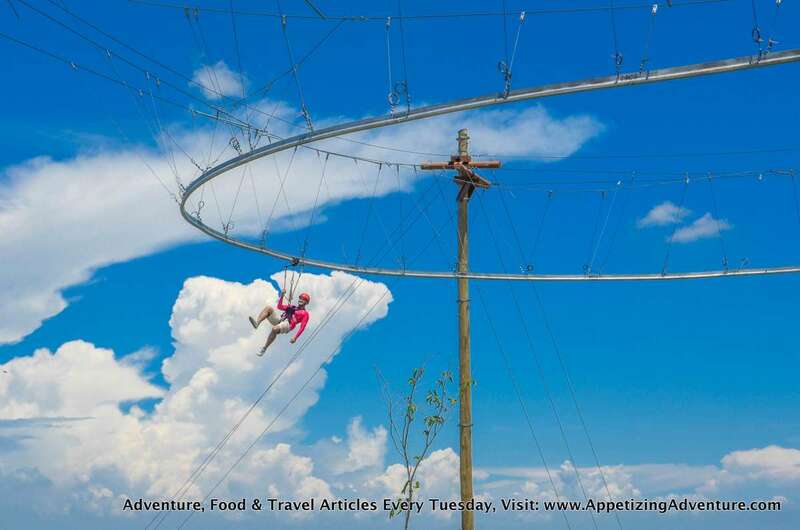 From the platform, the zipline goes down, curves up, curves down, and turns right, until you reach the end platform. I really thought this was motorized. However, Jomi De Guzman who’s in charge of project development, explained that this ride works with G-force or gravity. This is why participants must weigh at least 40 kilos for him or her to gain momentum. The heavier the person is, the faster the ride. With my helmet and harness on, I was ready. I climbed the adventure tower to reach the platform. Going up the stairs with the summer heat made me sweat. Be sure to hydrate and drink more water than usual. 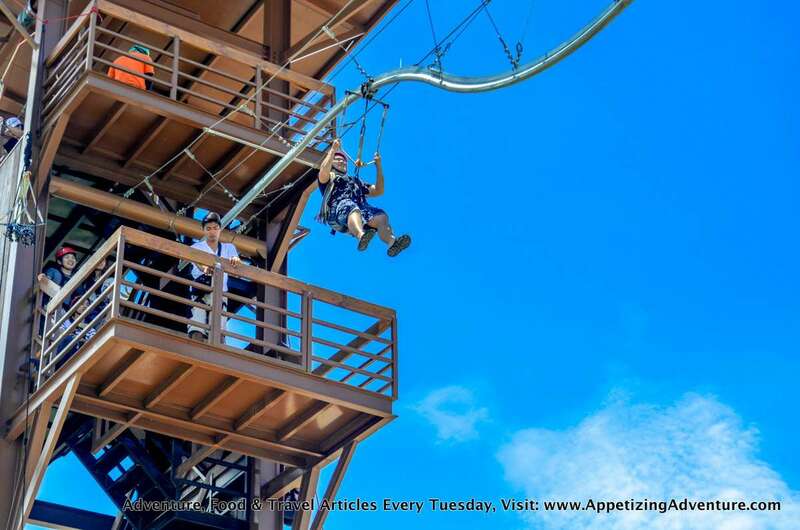 From there, my harness was secured and attached to the cable that signaled the start of the experience. The facilitator gave a good push and off I went. Woohoooo!!! My fear of heights was absent since this ride wasn’t that high. I loved it when the ride curved downwards because it felt like I was freefalling. Then it curved up, and down again. I had to hold on to the rope to control myself from spinning, especially when the ride turned right. 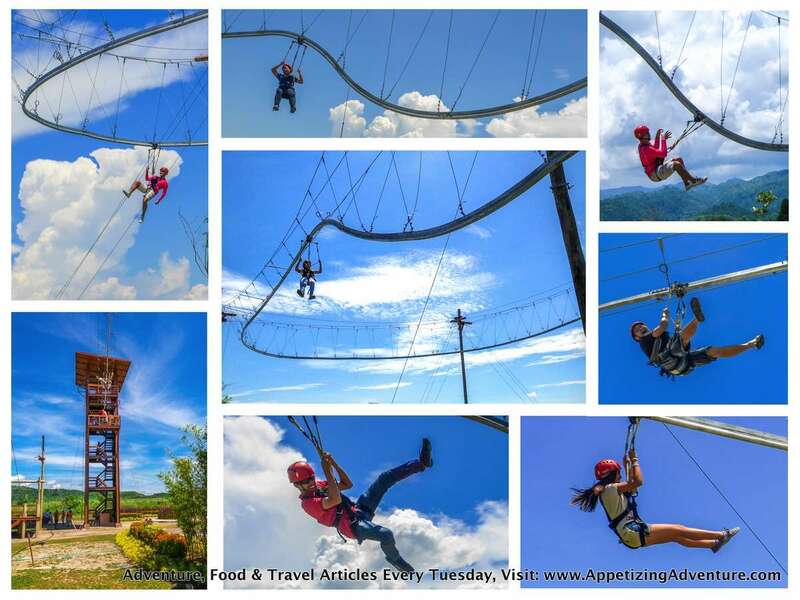 *Avatar One is the internationally patented roller coaster zipline design. 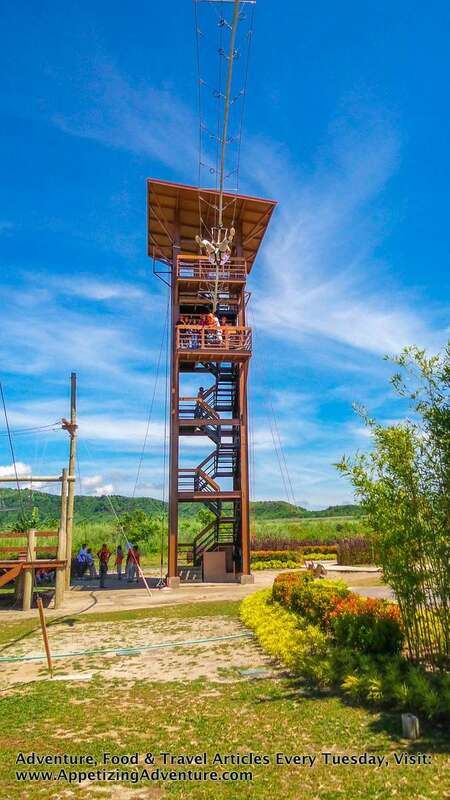 The first Avatar One in the Philippines is located at Sandbox in Porac Town, Pampanga Province. Open po ba ng 24 25 26?